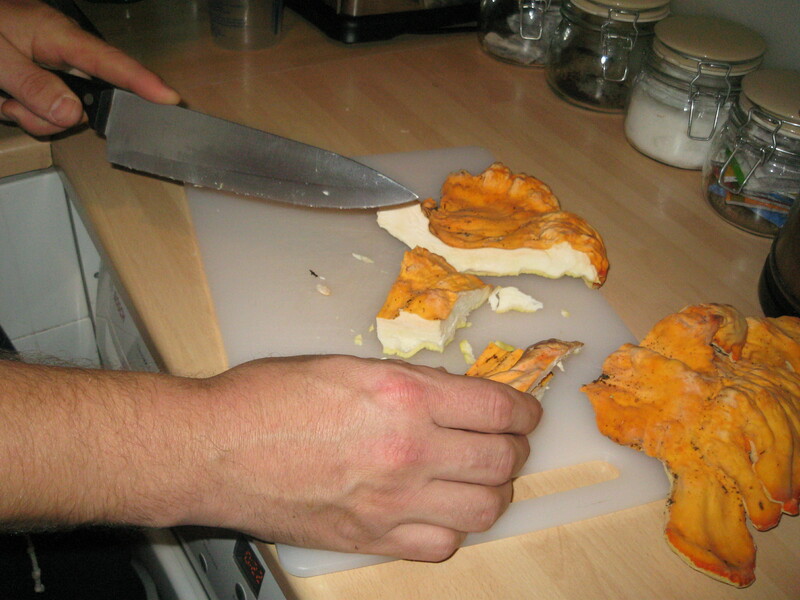 If you do find a chicken of the woods don’t simply rip it off the tree. This will stop it growing again in future. 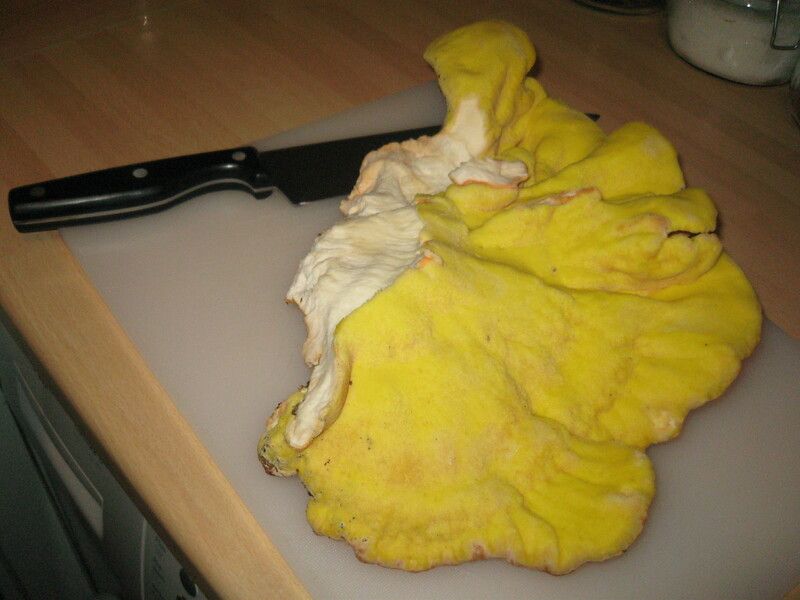 However if you cut off a chunk close to the tree new mushroom growth will resume next season. 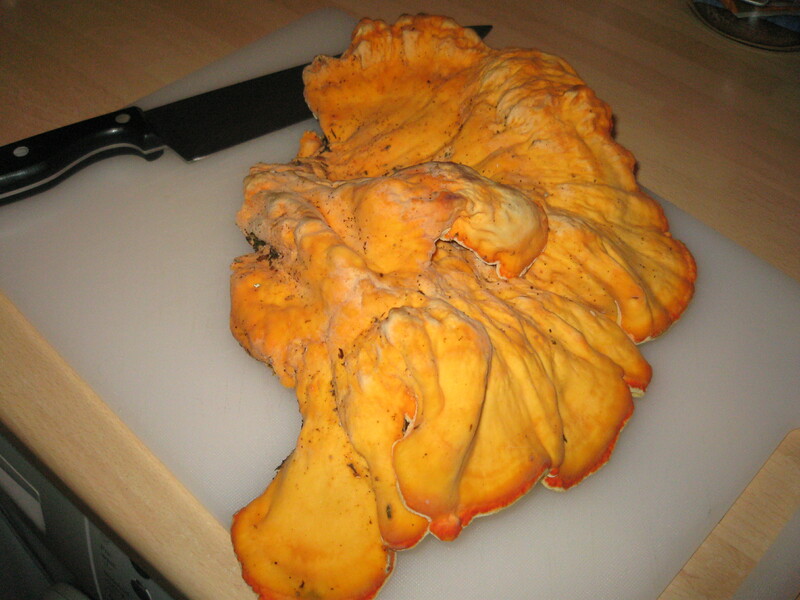 .1) Underside of the Chicken of the Woods. 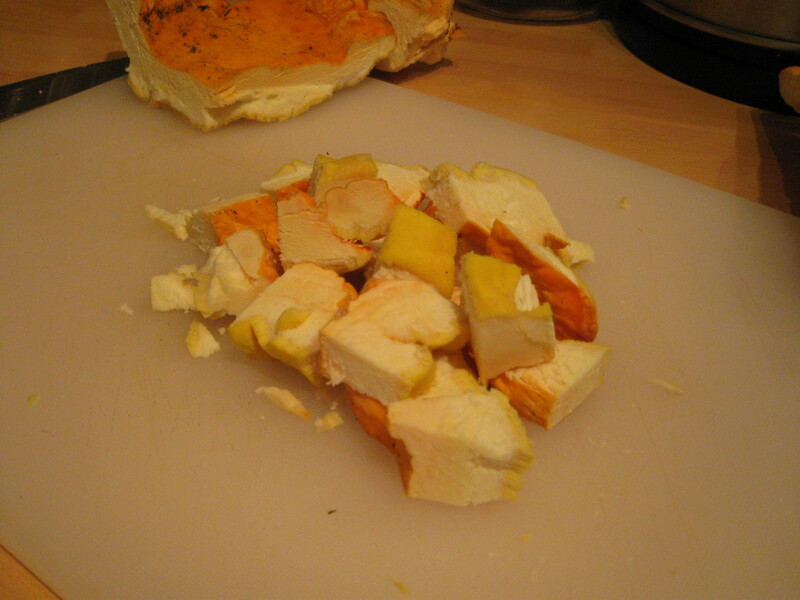 .3) Cut the chicken of the woods into smallish chunks. 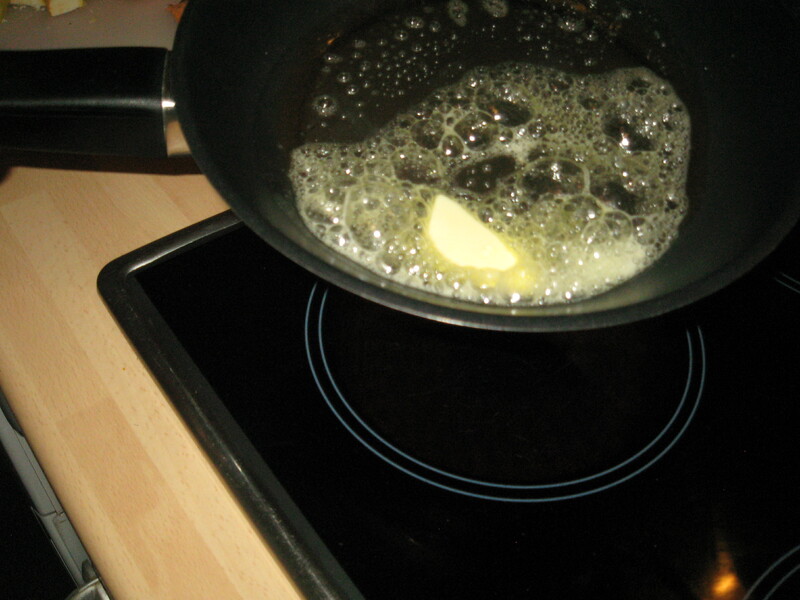 .4)Put the pan on the heat. 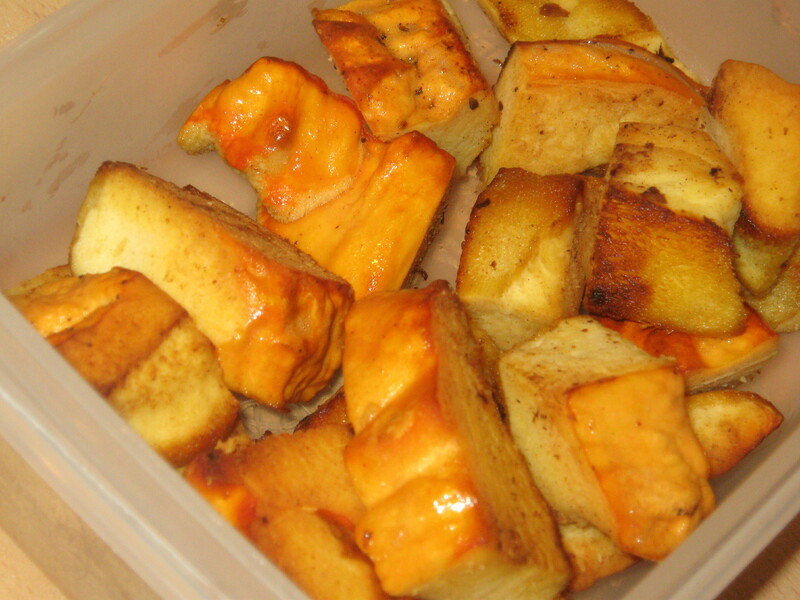 .5)Roughly about an inch size chunks. 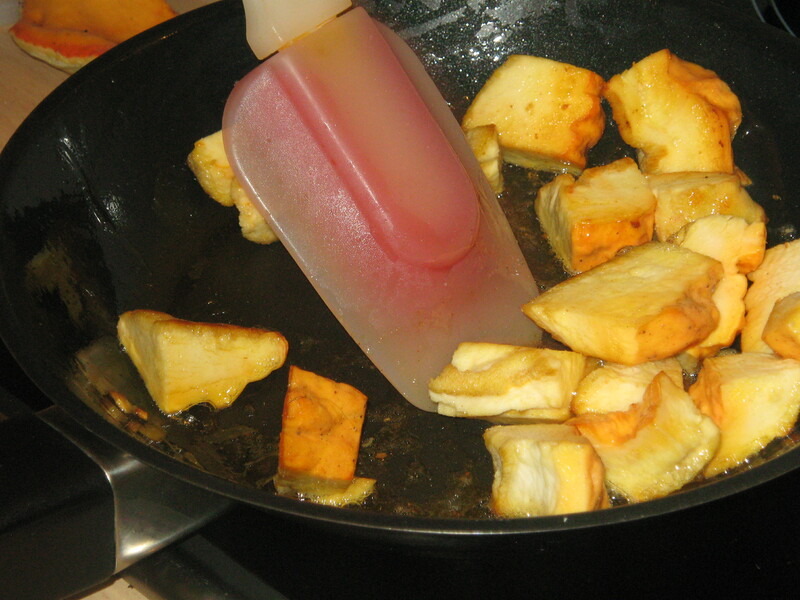 .6)Add a good amount of butter enough to coat all the chunks. 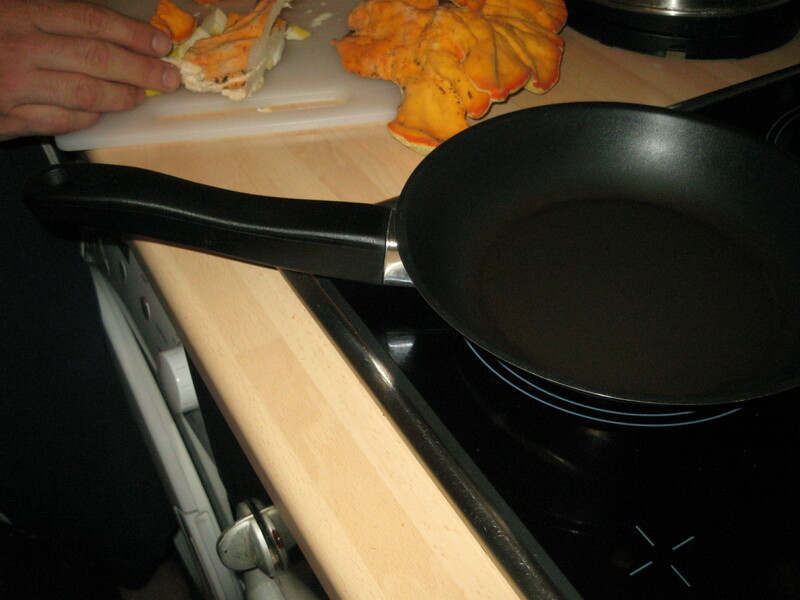 .7)Add the Chicken of the woods to the pan. 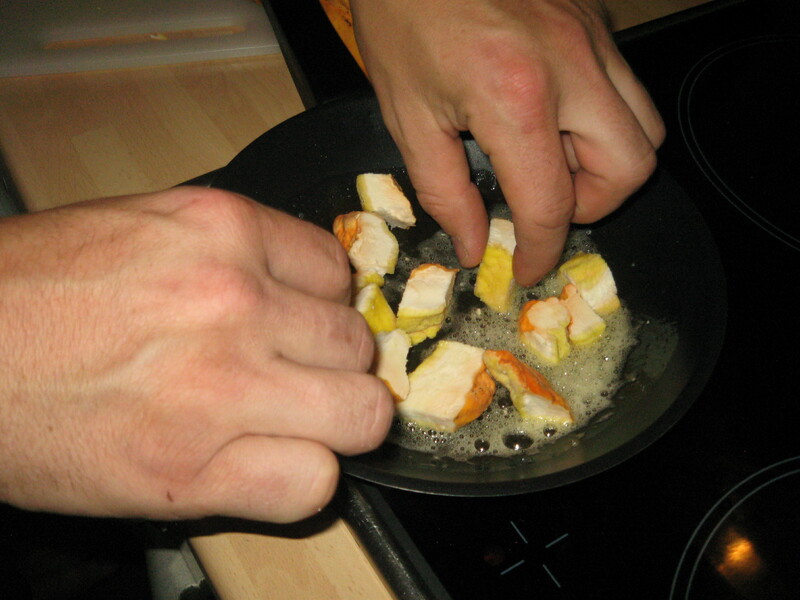 .8)Keep turning the chunks to make sure they are coated in butter. 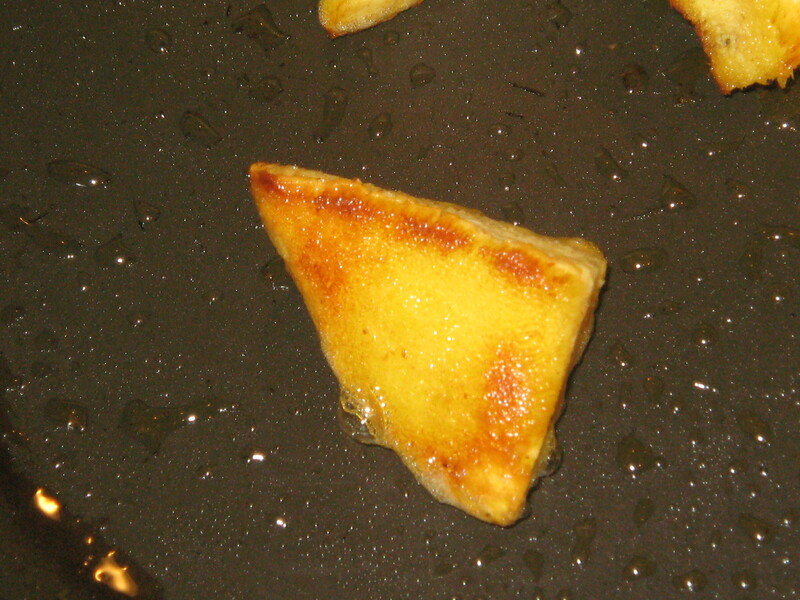 .9)Once the chunks look slightly golden. .10)Place them in an air tight container suitable for the freezer. 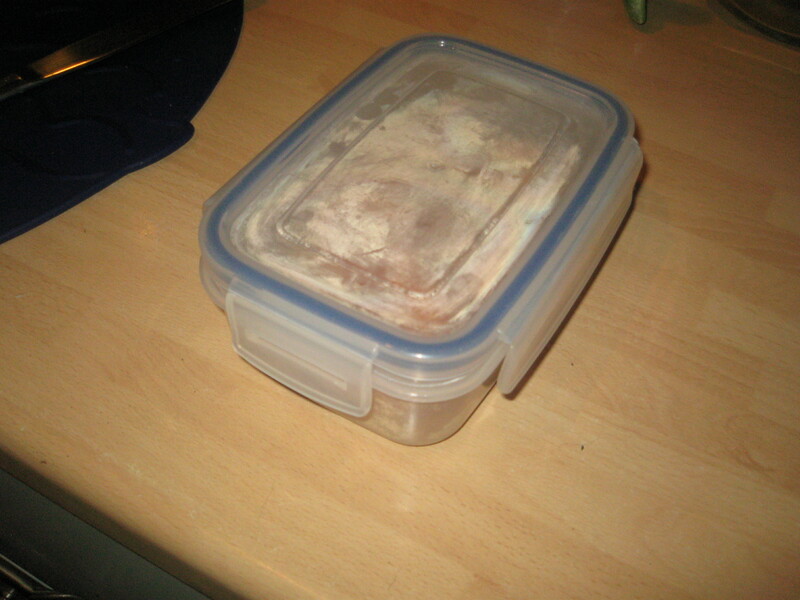 .11)Place lid on and store in the freezer for up to 3 months.